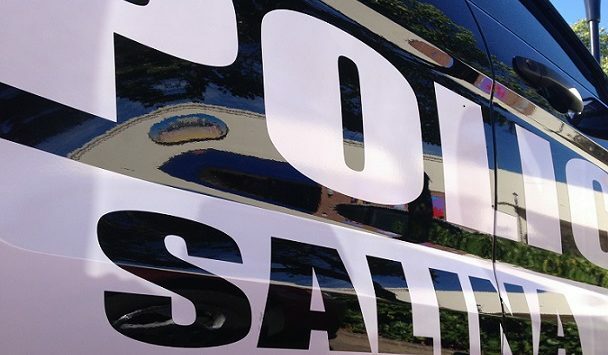 The driver of a stolen vehicle from Hutchinson was arrested in Salina on Friday. Police took 56-year-old Ronald Pierson into custody after a digital license plate reader pinged inside the police cruiser – alerting the officer to a reported stolen pickup truck. The owner told authorities that Pierson did not have permission to drive the 2004 Ford F250 which is valued at $5,000.